Johnson Level and Tool 40-6529 Review - Does It Get the Job Done? 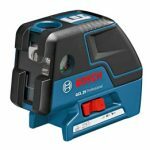 If you’re a carpenter, plumber or electrician, then you’ll love the Johnson Level Electronic Self-Leveling Horizontal & Vertical Rotary Laser Kit – 40-6529. 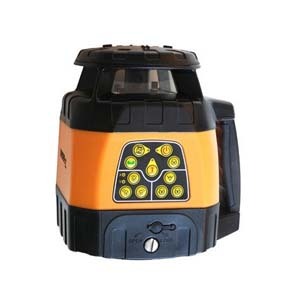 It’s the right tool for both indoor and outdoor construction laser levelling jobs, providing versatility and accurate levelling every time for every job. With a vertical mount, the level has the capacity to self-level both horizontally and vertically and can be used for various indoor and outdoor applications which include but are not limited to levelling, checking cut and fill, setting foundations and footings, septic tanks and basement excavations, acoustical ceiling and drywall installation, aligning and plumbing walls, and contour framing. The Johnson 40-6529’s versatility also makes it the ideal tool for all kinds of trade jobs such as site work, carpentry, mechanical and electrical. 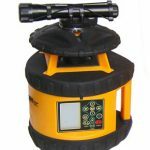 This laser is also great for small jobs like hanging kitchen cabinets and lowered ceilings, landscaping and survey work outdoors. This model comes complete with a new electronically-controlled dual slope feature. The base has a number scale which represent 360 degrees of a circle. Each leg has sectional extensions like a camera tripod. You can raise or lower the centre mast as needed using the hand crank and then lock it into the position needed. There aren’t many controls on this unit: one knob to turn it on and off and a compartment in the back for the battery unit. The pendulum mechanism remains locked in place when the unit is powered off in order to prevent damage during transport. For accuracy and guaranteed precision, the light begins to flash if the unit is more than six degrees from level. When the light is steady, it means that the unit has once again become level. The laser shoots out against the object in a T shape with steady, unlashing light. If it isn’t flashing, the measurement is accurate. If it is flashing, the unit is not level and needs to be adjusted. The user can be sure that T-shape lines are always 90 degrees to each other when the unit is stable and the light is not flashing. Carrying Compartment – The level comes with a hard plastic carrying case with convenient latches that are very easy to open and close. The interior of the case includes a protective molded foam lining. 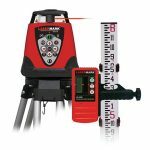 Ease of Use of Controls – The laser level has a self-levelling feature which makes it quite easy to use and set-up, working quickly and accurately. 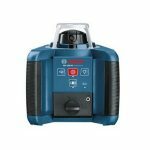 Multiple Features – The laser has a wide range of features including the ability to back-fill a foundation, level a wood sub-floor, set exterior trim,and install drainage pipes. Precision & Durability – This machine can take a beating, withstanding drops and other incidents that can happen on a job site. The tripod is also quite sturdy with numerous features and easy setup, making all jobs performed by the laser of the utmost quality. Remote Control &Power – The laser unit comes with a remote control, giving the user constant control, even from a distance. In addition to the option of using remote control, the unit also has a rechargeable battery pack in the event that the regular batteries lose power. While these may seem like insignificant features, they are very useful to an operator on the job. “The threaded boss in the base of the laser unit let’s you thread it right on to the tripod and when it tightens up, you can still turn the laser unit on top of the base. That’s just another feature that can come in handy when you’re doing a lot of things in the same room” (newwoodworker.com). “The tripod that comes with the laser is very light weight but it’s more than strong enough for the laser head. The crank height adjuster makes it easy to set the laser where you need it. The tripod has a threaded adapter on it already, so all you do is screw the head piece on to it. 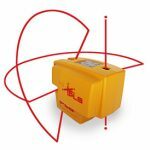 If you struggle to get a level line around a room for hanging shelves or cabinets, this Johnson levelling rotary laser level could be just what you need” (thintz12, online review). “I like the fact that I cannot screw this thing up” (hodr1000, online review). 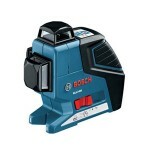 Push the power button and the laser electronically self-levels and calibrates itself. Accuracy of 1/8 inch at 100 feet. An exterior range of 1,500 feet when used with a detector and an interior visibility range of 200 feet. Variable speed of 220-500 RPMs. The laser comes equipped with a scan feature and dual slope function. Electronically self-levelling both horizontally and vertically. Overall the laser and tripod unit are both very impressive. Many reviewers said that the tripod was one of the best they’d ever used. For whatever job, big or small, or whatever type of contractor, carpenter or builder you are, this tool has the potential to drastically improve your productivity.